Let’s remember the practical classes from biology at school. Maybe you had to oversee the reaction of blood droplets in water: it assumed a pink color after mixing. Do you remember what happens after adding the alcohol drops into solute after that? The alcohol in a human blood formed flakes. That way the erythrocytes react to alcohol. There is nothing to imagine at all, think, that you watched the live broadcast of blood reaction to fluid containing alcohol. As far as blood presents throughout the human body, so barricades of flakes can appear at any another place. That’s why the categorical prohibitions for human alcohol consumption are brought in for those whose professions require maximum concentration. The regular control is practiced after health conditions of those workers categories whose lives of others are depended from. The mankind a long time tries to understand the influence of alcohol into a human. By a strange coincidence a human eye has helped to descry it. Three American physicists were able to descry how blood flows in pupil with help of special microscope and several additional procedures. Continuing the surveillance, they use another guinea and got sight of red blood cells clumps from 5 to 1000 pieces. Checked on other patients, it’s rule. Then, another patient with normal levels was regaled with beer. After a quarter of an hour the clots floated. This scientific discovery suggests the illustrative example of demonstration of blood clotting from alcohol influence, and is used in classes at school. The clots forming from blood clotting are called “grapes bunch”. But unlike the natural fruit these don’t bring the health and are the harbingers of tragic consequences. After Americans’ discovery it became clear where to find the clue of manifestation of internal and external alcohol influence factors. It was noticed that in erythrocytes’ blanket during movement through the blood vessels the negative charge arises as a result of friction. That’s why, according to the physics laws, red blood cells are repelled and, simply put, aren’t stuck together. “A guest from outside” vodka removes the electric charge by its appearance, removing the blanket from erythrocytes. According to the same physics law, erythrocytes begin to gravitate, stick together and form “the grapes bunch” of death. They increase proportionally to amount of drinking alcohol. A process enters the stage of stop motion in individual capillaries and blood supply process stops. First of all it takes place in brain and retina, where the capillaries are the most vulnerable. As a result of the oxygen supply cessation in cells of brain the hypoxia begins, anoxaemia. Who drank, remembers, who isn’t already acquainted with “green snake”, keep in mind, the moment of oxygen starvation outwardly appears as condition of harmless kef from slight intoxication. Next item numbness of brain individual sections, which is demonstrated by drunken man, as an absolute freedom “scared of nothing”. Hypoxia mimics freedom. The freedom has always, in all its manifestations, attracted and attracts the man. And the soul tired during the day from industrial or domestic problems reaches for one of such kind of freedom. And more often she falls into its embrace, then deeper “dives” into whirlpool of other problem – the alcohol dependence. Do you remember how characters’ noses and faces from movie “Dog watchdog – unusual cross” became darker than before? It’s not a fiction and not director’s idea. There are many small branched blood vessels in nose. And when “a grapes bunch” appears in a branch point and erythrocytes bonding plugs up it, the blood vessel expands and dies. A bluish-purple color of nose testifies that blood vessels are already dead here: the alcohol in a human blood made its work. Another situation with the problem of blood vessels in brain. 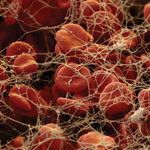 Here each from 15 billion of nerve cells has its own “purchasing manager” of blood and it’s micro capillaries. Because of its tiny sizes it pass erythrocytes through itself one at a time. Naturally, “the grapes bunch” will never be able to squeeze and forever stay in micro capillary. From this moment the time left for the cell to live is about 10 minutes. After the regular light buzz from alcohol the cemetery of nerve cells increases. Pathologists easily recognize the brain of ex alcoholic by reduced in volume and shrunken brain with micro scars and sores in the cortex. Creating a human, nature gives him the reserve of survival. In particular, a young organism has a tenfold stock of capillaries. That’s why destructive processes in organism are nearly invisible externally. But just for a while. An average contemporary human faces to various diseases at age about of thirty: the problems with leaver start, and with stomach, and with cardiovascular system. The scientists have counted up, that every gram of vodka kills nearly 80 active genital cells and cells of a brain. 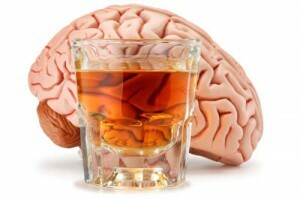 The scientists have looked into deep alcoholism processes in a human body. They help to find the answers to main question, does the alcohol make a harm and if yes, then how far? At first, every organism has its own individual features, secondly the manner of life of each forms individual physical pluses and minuses. 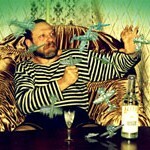 That is why a glass of vodka makes an effect to different people in a different way. So why is determined the particular amount of alcohol in a human blood, the same for everybody? The presence in the body 0,2% already drives to lack of coordination, a man can’t walk by himself, the connectivity of speech is broken, man’s speech is thick, 0,4% of alcohol concentration is finished with coma and 0,6-0,7 – with fatal respiratory stop. An important role of influence to the indicators is such thing as susceptibility to alcohol. The answer can be prompted by the simple questions. Try to answer not thinking long. *Does the beer calm you dawn after a family scene or “educational talks” with your boss? *Is it easy for you to explain the notion “hangover”? *Can you get remember in the morning the details of yesterday’s tableful? Have you ever had to think up the explanation of reason to drink? Does the vodka calm you dawn after a family scandal or ”educational talks” with boss? Does your better half resent much because of yesterday’s tableful with friends? Have you ever had to justify your bad doings with grogginess? Have you ever had to think up justifies of reason to drink? Is it decently to borrow money for an alcohol? Is it easy for you to explain the notion “hangover”? Those who gave the affirmative answers to questions with asterisks, and to others – predominantly negative, have minimal susceptibility to alcohol. Get remember the questions you‘ve answered immediately. And which the questions forced you to think. The alcohol can defuse and reduce the stress. The question is about doze and kind of alcohol. 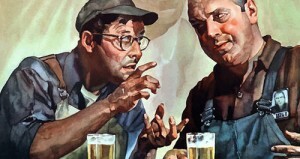 One thing is to upset the beer can, and another – the bottle of wine. Don’t increase the volumes and the trouble will not visit your organism. If the drunken man seems disgusting then think why is it possible to attitude condescending and forgive your behavior in such condition? Remember, where is your favorite resting-place situated, in the park or beer pub? Look for your options to get know yourself better, then will be easier to see the upper edge of the glass. “Hey, neighbor, don’t you see the edges?” Hope that you happen to get to the companies of pals with such reproaches rarely or to avoid at all. As usual the myths about alcoholism are rather survivable. For example, some say, that if to drink increasing degrees, i.e. drink different beverages, beginning from less contents of alcohol to more, then the head will pain less in the morning. Or this: if during the tableful drink much water then it will be able to avid the hangover. Both thoughts are myths. First of all, the degree of alcohol withdrawal syndrome will remain anyway because it depends on amount of consumable alcohol. How much can you drink? It’s a second question and the way to understand it is to trace the alcohol traffic through the human body. The first instance, the alcohol paths in human body is mouth. Then through the esophagus it gets to stomach, duodenum and into small intestine. All the way the alcohol leaves the part of it and almost disappears at the finish: erodes and decomposes into components. The strong alcoholic drinks as vodka, gin or whiskey are absorbed slower. And carbonate drinks – sparkling wines, champagne – are absorbed much faster because due to the presence of carbon dioxide. That’s why the aerated drinks besot fast. the level of exercises after consumption of alcohol. It has been well said that full up man doesn’t understand the hungry one. Two different stomachs react differently to alcohol. The full stomach absorbs the alcohol on one and a half or two hours longer. 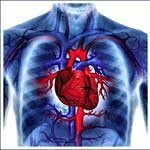 The hungry stomach “makes” the same work and “transmits” it into the blood in 3-4 times faster. When alcohol is getting into the leaver, it tries to manufacture everything. Getting by “cleaning” in leaver, it is getting into right half of hart with the blood flow, and from there is getting into lungs, where it’s become saturated with oxygen. The part of alcohol is oxidized. And the second part in the form of alcohol vapors and incompletely oxidized elements of decay, are removed through the lung alveoli. This exhalation extradites the driver to the police inspectors by the characteristic fume odor. From lungs the alcohol with blood is getting into the left half of hart, which pumps the blood forth, into the human blood. But if there is a lot of alcohol the leaver trying to do its work is increased in volume and weight. Herewith the cells of this internal organ are changed and lose their function. The scientists think, that if to organize the competition, than the full man of course will overdrink the hungry one. But if the experiment will be repeated constantly, then the irreversible process of inernal organ destruction will begin the cirrhosis. How much ppms are “too much”? From half to several hours can pass from the first glass to the moment of marginal concentration of alcohol. The internal human organs manufacture the drunk alcohol with the speed of 10 g of alcohol in the pure form, wherein its concentration comes down to 0,1 ppm. In an hour the part of alcohol is removing with sweat, urine, saliva and is removed during the exit. The second part of alcohol is staying in organism and oxidizing. When the blood spreads the alcohol around the body and leaves in organs, the highest concentration is observed in spinal fluid and urine. That’s why in case of necessity to prove the presence or absence of alcohol in organism it is necessary to determine the level of alcohol at the exit, and also in blood, urine and saliva. The readings can differ. And the police inspectors try to rook the drivers thereon. In order to protect yourself, it is necessary learning to identify how much of alcohol may remain in the organism, for example, 0,3 ppms is 135 mg/m3 , but it is not at all 1,35 mg/m3. With toluene of alcohol in blood from 0,5 ppms to 0,8 ppms the driver inadequately evaluates the traffic situation. The euphoria begins with toluene of 1,2 ppms, and if there are twice more alcohol almost all driver reactions are switched off. With toluene of 4-5 ppms the “grapes bunch” turn into “a wreath of sadness”. It is very important, especially for people, whose professional activity and alcohol are not compatible. The splitting of alcohol – isn’t fast process: minimum are five hours, maximum are one and half days. Everything depends on organism persistency and… human’s nationality. 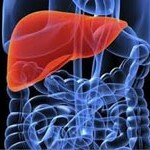 The organism of alcoholics-beginners is restored faster. The organism of healthy people, ancestors of the American Apaches, and also some peoples of the North, are restored slower. The blood of European men fights actively with alcohol. And alcohol in women’s and children’s blood overstays longer, than in a men’s blood. The blood, enriched with external alcohol, can “undergo several cycles” through the body. Drink or not to drink for pregnant? Most specialists are sure, that physiological characteristics of human influence upon the time of alcohol excretion from organism. Not closed just the debates about the alcohol and the pregnancy. Some insist that if a pregnant wants a beer, it is necessary to go and buy. The opponents recommend if the future mother wants much to drink, it is better to fool the organism and to make a soft drink and recommend not engaging in self-deception, convincing a hope to yourself that the trouble will pass side. How to minimize the harm of alcohol? 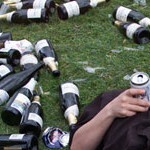 Some specialists think that the only one reliable way of struggle with alcohol is not to let it you’re your organism. But in practice this is not always: sin with or without case. On the eve of great tableful the specialists recommend to take the absorbent carbon or other sorbent. Before leaving the house it wouldn’t be a bad idea to refresh yourself, remember, the full man will overdrink the hungry one? It can be restricted by sandwich with butter and cheese or by tea with lemon and sugar. If at the moment there is no lemon or cheese, it can be put some butter into the tea. If there is no time to wait till the water for tea is boiling, you can simply eat a table spoon of butter. It is creating a protective membrane in esophagus and stomach, and it reduces the process of alcohol absorption to nothing. Finally, right before the tableful is good to drink more juice and water. If all evening for the question “Do you respect me?” you have to answer with short phrase “To your health!” and throw back a shot then you will not avoid the headache in the morning. And if you poison the organism with the tacky drink, the strong headache will appear, abdominal cramps, vomiting and nausea, flatulence and pain in the joints, it is necessary to drink herbal infusions with no sugar. For example, black tea with mint or Saint-John’s-wort, the liter or more of kefir can alleviate the condition. It is necessary trying to bring yourself back to normal using the home, folk remedies for struggle with a hangover. At severe intoxication you should consult a doctor. In the clinic the blood from alcohol is being sublimated with help of droppers and special solutions. But better, of course, is to avoid getting alcohol into the blood, so that it is not formed “grapes brunch” of death. There is no need anything supernatural for that – it would be the desire and willpower. In one of its wisdom our people have noticed that people are divided for those who throw out empty bottles and those who pick them up. Rise above all them and stay a Human!